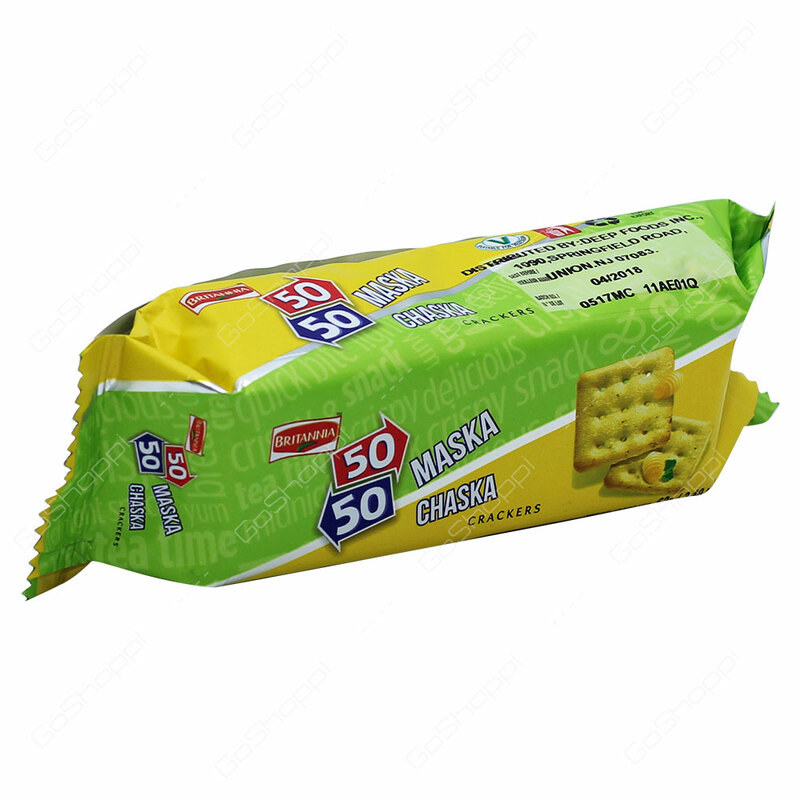 Britannia 50 50 maska chaska Crackers is flavored in the classic American Cream and Onion style. This explosion of flavours added to that pinch of sweetness. Maska Chaska is a delightful biscuit dipped in butter and peppered with the choicest of herbs.